LA Premiere of "The Incredible Burt Wonderstone"
You are here: Home > Recent > News > LA Premiere of "The Incredible Burt Wonderstone"
Red carpet arrivals at the world premiere of "The Incredible Burt Wonderstone" on Monday, March 11 at Grauman�s Chinese in Hollywood. From the film: Steve Carell, Steve Buscemi, Olivia Wilde, Alan Arkin, James Gandolfini and Jim Carrey, Jay Mohr, Brad Garrett, Gillian Jacobs, magician David Copperfield writers Jonathan Goldstein & John Francis Daley, and director Don Scardino. Celebrity guests to follow. Superstar magicians Burt Wonderstone (Steve Carell) and Anton Marvelton (Steve Buscemi) have ruled the Las Vegas Strip for years, raking in millions with illusions as big as Burt�s growing ego. But lately the duo�s greatest deception is their public friendship, while secretly they�ve grown to loathe each other. Facing cutthroat competition from guerilla street magician Steve Gray (Jim Carrey), whose cult following surges with each outrageous stunt, even their show is starting to look stale. But there�s still a chance Burt and Anton can save the act�both onstage and off�if only Burt can get back in touch with what made him love magic in the first place. 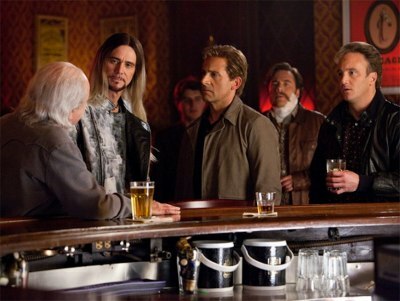 �The Incredible Burt Wonderstone� stars Steve Carell and Steve Buscemi as long-reigning headliners and one-time best friends Burt and Anton, and Olivia Wilde as their glamorous magic assistant, Jane. Alan Arkin stars as old-school illusionist Rance Holloway; James Gandolfini as casino mogul Doug Munny; and Jim Carrey as the team�s number one rival, Steve Gray. The film was directed by Emmy Award winner Don Scardino (TV�s �30 Rock�), from a screenplay by Jonathan Goldstein & John Francis Daley (�Horrible Bosses�) and story by Chad Kultgen & Tyler Mitchell and Jonathan Goldstein & John Francis Daley. It was produced by Chris Bender, Steve Carell, Jake Weiner and Tyler Mitchell. Diana Pokorny, Charlie Hartsock, Vance DeGeneres, J.C. Spink, Richard Brener, Walter Hamada and Dave Neustadter served as executive producers. The creative filmmaking team included director of photography Matthew Clark (TV�s �30 Rock�), production designer Keith Cunningham (�Ocean�s Eleven,� �Star Trek�), editor Lee Haxall (�Crazy, Stupid, Love.�) and costume designer Dayna Pink (�Crazy, Stupid, Love.�). The music was composed by Lyle Workman. David Copperfield, the world�s most successful magician, served as a special consultant and also appears in the film, as himself. -- Source: Warner Bros. Pictures. Click to comment this article.